Three weeks have flown by since I last wrote. My initial aim was to post weekly updates leading to my next race on the 4th March, but these weeks were plagued with immense self-doubt, a whopping migraine and a tummy bug! Sadly, it was all downhill from there. Self-doubt crept in and completely ruined the next couple of weeks for me. I felt silly for even thinking I could do 17 races this year, let alone do a 10 km race in an hour. I thought, “Why did I even start this blog! ?” I felt helpless. The last time I really felt this way was when I was trying to get my Driver’s License. When I turned 18, I got a learner’s license but I ended up getting my license when I was 30. I simply told myself that some people are meant to drive and others are not. Twelve years later, something clicked. I started lessons and passed my driver’s test on the first go. In Week 1 of training, that same feeling of helplessness returned and I convinced myself that although I may like the idea of running, it may just not be for me. Tuesday: I started the week feeling a lot more determined. I was a little bit tired from work, but still managed a good walk/run outdoors. I did 2.21 km in 19:03 mins, pace 8:38 min/km. Much slower than my last run, but I felt happy that I had put on those shoes and gone for a run. Wednesday: I decided to go for a run before my pilates class started. I ran (no walking!) with my cousin which was really fun. We found a nice pace (average: 7:47 min/ km) and chatted the whole way (2.77 km in 21:33 min). Saturday: Taking advantage of the beautiful cloudy weather, I went for a run around the neighbourhood. What a great run and a personal record! I managed 4.03 km in 30:57 min, my longest distance and time without walking! I kept a close eye on my watch and as soon as I approached a pace of 08:00 min/ km, I stepped it up a gear. My average pace in the end was 7:40 min/ km. I was very pleased. Sunday: I was supposed to go up Kgale but decided to have a lie-in and go for a late morning run with Ditiro. Somewhere in the back of my mind I wanted to run 5 km without stopping but I didn’t think I would manage. But I did!! Oh my word! I was so excited. It was a tough run but having Ditiro there really helped. We also included an uphill section which I managed to do without slowing down to a walk. You should have seen my excitement when my watch finally said 5.00 km, 38:04 mins with a pace of 07:36 min/km!! The word “happiness” doesn’t quite do my feeling justice! Can you remember the feeling you had the first time you RAN 5 km? I have got the Medihelp Mini-Monster 10k race this Saturday and then the Bots Half Marathon (10k) race the very next week. Am I ready?!? Not at all! But I am going for it… Pretoria (South Africa) is a lot hillier than Gaborone. So if I can finish in 1: 25 hrs I will be quite pleased with myself. It will be a nice training run for the next one in Gaborone where I may even be able to PB! (For the first time I am linking up with Courtney at Eat Pray Run where you will find links to others blogs sharing their training plans this week. 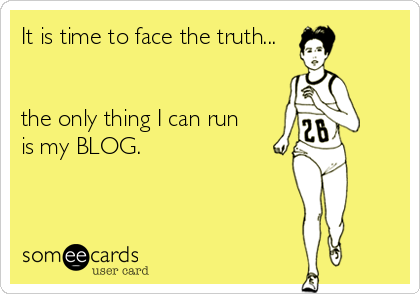 Eat Pray Run is my “go to blog” when I am looking for some inspiration!). Glad things have started to look up for you, your week 3 training was great – everyone has set backs in training, the good thing is that you seem to be getting back on track, so well done! Thank you Laura! So glad things seemed to turn around in Week 3. So hard not to quit in these first few weeks, but will just keep at it! This is so amazing. Joining your blog for the first time through Courtney’s blog link-up and it’s so inspirational to read your story and your lofty ’17 in 2017 goals’. Sometimes, having goals that scare you are the best way to grow. You’ll be surprised how we tend to underestimate our strengths. Just followed your blog. Can’t wait to track your progress. PS: Heard beautiful things about Botswana and would love to visit it some day! Thanks for the encouragement! Glad to know I’m not the only one who seems to struggle with adequate hydration! Great job getting back into it! Sounds like things are picking up. Keep it up! Not only were you unwell, you then had to work through the mental block and convince yourself you could do it. You showed up and made it happen. Keep smiling, forgive the setbacks – they happen to us all – the secret is to keep going. You are such an inspiration; looking forward to your next post!